Salon 07 is a tenant build-out. The original space was a vanilla-shell ready for the first tenant. We designed (6) six cutting stations. 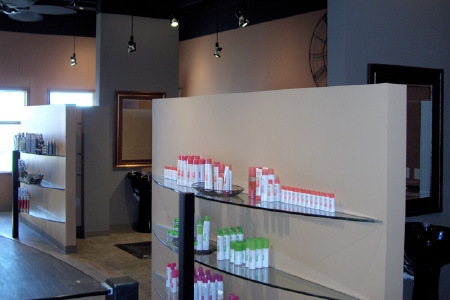 Pat of the design parameters was to have all the stylist accessories hidden from view upon the customer’s arrival. 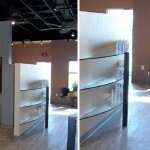 The design created glass shelving placed behind the main mirror. 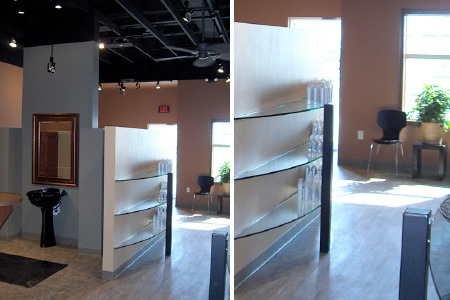 Additional glass shelving was designed for display and retail space.